Cadillac made headlines after the brand’s president Johan de Nysschen dropped the news that the Cadillac CTS, ATS and XTS would be replaced by a single car with what will be called the Cadillac CT5. However, yesterday evening, we received word which helped clarify Cadillac’s future product plans. Per the brand, not one, but two Cadillac sedans are slated for the future. As the current ATS, CTS and XTS run their course until the end of their planned life cycle, Cadillac will introduce two completely new sedans, positioned in different segments, size, and price while exhibiting the latest evolution of the Cadillac design language. While we don’t know further details, it sounds as if these new sedans could be repositioned into segment-straddling niches (like the second-generation CTS and current CT6), and could exhibit Escala Concept design cues. One of these cars is certainly the Cadillac CT5 mentioned by de Nysschen, which will be positioned as a mid-size sedan of sorts. The other sedan, if we had to take a guess, will likely be more compact in size. Hopefully it retains a RWD architecture. General Motors has trademarked several alphanumeric names that align with Cadillac’s future naming strategy, including CT3 and CT4. Pushing for additional details, we asked if both of the future sedans will retain rear-wheel drive underpinnings, but Cadillac was not ready to discuss specifics at this time. Though based on current reports, we wouldn’t be surprised if these vehicles offered some sort of electrification. Regarding a timeframe, the ATS, CTS and XTS will end their current life cycles around 2019. We’ll likely hear more information on these two sedans next year. Not to bring climate change into the discussion, but I never thought I’d see glaciers move faster than Team Cadillac. What a dumb strategic move for JDN et al to announce this. Now, who wants to invest good money in a either a discontinued ATS or CTS. There must be something wrong with a car when they completely drop model. Get ready for years of fire sales for Cadillac. It’s better for JDN if sales of those 3 cars are terrible from here, since none of them were created while he was CEO. That way he’ll look better when “his” cars come along to replace those cars, and he can say “see, Cadillac was dying before I became CEO”. It’s a typical CEO trick. Always make things look as bad as possible under prior management, that way you can look better in comparison. It’s not about doing what is best for the company and shareholders, it’s about doing what is best for the CEO. ‘There must be something wrong with a car when they completely drop model’ is faulty reasoning at best. So a model being discontinued indicates something is wrong with it!!?? Market conditions, financial outlook, change of demographics and public preference for CUVs/SUVS could be the reasons as well. Thank god glaciers dont really move….but I have seen Cadillac attempt to. Glaciers do move. That’s why there are icebergs. I love my 2017 CTS. I hope they don’t ruin it !!! Same here, I have the ’16 Performance AWD model, and love it. I plan on ordering the new generation model when it becomes available if it evolves from the current CTS design and does not become something gaudy. What ever they are going to do they need to make sure they are the class leader in every respect. They can’t continue to be good here, ok here and bad here. They have to be nothing but the best across the board. Yes but I’d like to see a big 4 seat “cruiser” Cadillac convertible this time, instead of a little 2 seat sports-roadster like the failed XLR (and Allante in the late 80’s/early 90’s). Building something like the Ciel would be cool, especially if they gave it a less boxy looking front, and not so ridiculously low profile tires. Just what I predicted. Cadillac needs a way to differentiate itself in the shrinking sedan market. The tweener portfolio can do just that. Compete with cars in a given price point, but offer more car. 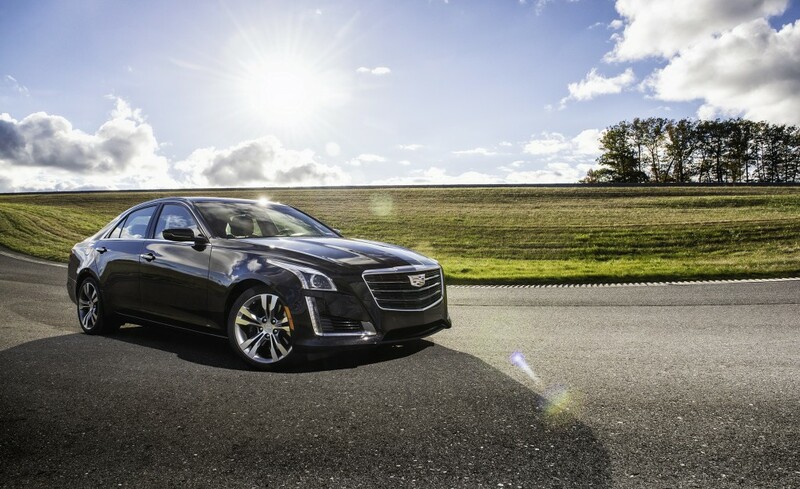 Cadillac had a good thing going with the second gen CTS, but when its price increased in the current generation, many did not upgrade nor did they want to step down to the ATS. Another way they could differentiate is to make these new sedans sportbacks, just as Buick did with the Regal. They offer more utility, and look much more sporty. We’ve already seen that Cadillac can make a good looking four door coupe (Escala). Interesting things to come in the next few years. To each his or her own but I don’t care for sportbacks. If Cadillac goes into that direction with the CT3-5 models, I will take it or leave it attitude, provided that they are the best in each segment that they are creating. Great news ! I have a (Hot Lava -600 made in April2008) second generation CTS–I love it–sounds like a 190 to 192 inch sedan may be coming–I hope so. So from what we are hearing it sounds like Cadillac is simply replacing the current ATS and CTS with new models with new names. At the same time dropping the XTS. Cadillac will have 3 sedans , compact, mid size and large. There is no earth shattering news or changes other then the XTS getting axed which we all knew was coming anyway. Obviously the flagship sounds more and more like its going to be either a full size coupe or another dreadful bloated crossover. The flagship however it takes shape will most likely use Omega since we now know that the Xt6 will not use it. I wonder if the CT5 might get use of it as well. As car sales continue to slump , we can expect Cadillacs cars to also sell at a slow rate . That usually happens when a vehicle gets to the end off its cycle . JDN announcing that three new cars are coming was a good PR move letting the industry know that Cadillac will still offer cars as well as their new SUV’s . It sounds like a complete portfolio , and placing their cars into niche markets will give customers a different choice than just having cars that will try to compete with other automakers . It is true when you have a different manager that they tend to like to clean house when neccesary and put in place their own style of doing things , it happens in every industry . Putting a new face on Cadillac is needed and they need new products to offer here in the States and in their world view China as well . I still believe that Cadillac should eventually build a status symbol car with a name and not an alphabetic / numeric one . They era holding on to the Escalade name their is no reason why Cadillac can’t produce an ” image ” car with its own name ( aka. Escala ) . JDN does not have to shame anything. It is there now. He is much like Lutz and says what he thinks. I find it refreshing at GM not towing the same old line. As for now they are just buying time and even with slumping sales they are still turning a profit. Things are already at a fast pace on the coming product but the reality of development time is still there. Sure they may be able to rush it more but when quality issues happen you have just wasted billions and failed. The new product needs to be right and no mistakes in quality. It also needs to be what he markets wants not the tolpken leftover Cadillac owner only wants. right here with you Drew….Cadillac needs to be reliable and top quality…and Cadillac needs to put a CT8 flagship in the lineup to have a true MB S-Class, BMW 7 fighter….and have the CT6 be a real E-Class, 5 serious fighter. The CT6 while a great Cadillac and maybe the best one to date, is no match in the interior to the E Class and 5 Series. And if the new A8 is any indication of what to expect from the upcoming A6, Cadillac is in trouble. I hate this stupid new sedan approach. The CT6 is too big for the 5/E/A6/XF/GS segment and it sounds like the CT5 will be too big for the 3/C/A4/IS/XE/Giulia. Cadillac needed a proper 3/5/7 LWD Sedans to be considered a proper Top Tier Luxury Car Brand. Sedans might not be hot right now but if gasoline spikes or the public sicks of CUV’s for whatever reason people might get back to sedans again. GM gave up on that lofty goal of having Cadillac achieve Top Tier Luxury status in the auto industry. Just remember GM, it didn’t take Audi one model to come back from the brink of extinction. VW pored billions into that brand and I am sure they are extremely glad they did and didn’t just give up like GM is doing so. CT6 competes with S/7/A8 and does a great job at it. Period! The fact that it offers a $55,000 model that also competes with E/5/A6 is just a bonus. The first car that I ever purchased was a 2010 CTS sedan for my 20th birthday. It was an amazing and offered the best value in its class. CT5 will be the direct successor to the 2nd gen CTS. I later traded in my CTS for an ELR, which I have had for 2.5 years now. I love that car. I’m hoping the CT4 is a RDW 2 +2 car with beautiful styling such as ELR. I’ll be 25 next year and I am looking to trade in my ELR for an Escalade or possibly a CT6. the CT6 doesn’t compeat with the S/7/A8…it would have to really move up in order to Compeat OR have a CT8. Yeah, This is interesting, however I guess it’s about time. It kind of always made sense that a familiar name may make for better sales. However, this is more than likely the opposite for the better. You have the line CTS, then the newer ATS, and XTS, and the market has been there and done that for a number of years respectively. Those that love the cars, love them, those that have some reason to dislike them, or are bored of them go elsewhere. I personally don’t see flaws in the old designs, however I will admit the new models with the _ _ # naming scheme look like a better step forward, and it’s better to start fresh. The XT5, CT6, and some of the newer concepts look like a great expectation of Cadillac going forward. What ever happened to the Ciel? It was a pretty good concept, but probably a little outdated at this point, perhaps it could influence a revised design or new model down the line? This sounds like a recipe for failure.. GM needs to consider replacing Johan de Nysschen as President; with either Cadillac VP China Andreas Schaaf or Camaro Chief Engineer Al Oppenheiser; the ATS, the CTS and XTS target 3 different market segments and means it’ll be difficult for a single vehicle to replace all three unless the base model sells for about $30K with the top tier costing $90K which is insanity.. Mary Barra gave this scheme the greenlight which means she could be held accountable and be voted out as CEO. Omegatalon, they are now saying two cars to replace the 3, not one replacing the 3. I still don’t like it in principle but we’ll see. However, the thought of one model replacing the 3 made me think of the fictional do-everything car, “The Homer”. Perhaps if Cadillac does get down to just one sedan, they can call it “The Johan”. Big enough to hold six tall adults comfortably, small enough to fit into tight parking spaces, powerful enough to roar into traffic quickly, fuel efficient enough to compete with any electric hybrid, as smooth running as a magic carpet ride, as tight turning as any record setter on the Nurburgring. Convertible version available. Sure it doesn’t have the German letters and numbers system, but “The Johan” sounds German enough. Price “The Johan” about the same as the Escalade, and think of the prestige for Cadillac. You jest? If they want to name a car after JDN just spill out a can of alphabet soup and that’s the new name. Susan, yes I was kidding about “The Johan”. It would likely be impossible to build a car to those specs, at least under $500k each. “The Homer” was a fictional car built to Homer Simpson’s specs, it tried to do everything Homer wanted, it was too expensive ($82k in 1991, which would be $147k today), and it bankrupted his brother’s auto company. Drew, his head is so big it would not surprise me if he tried to name a car after himself. Keep that can of alphabet soup handy. So I’m guess the ATS & CTS will become one new car (probably CT4) while XTS is replaced by the CT8? 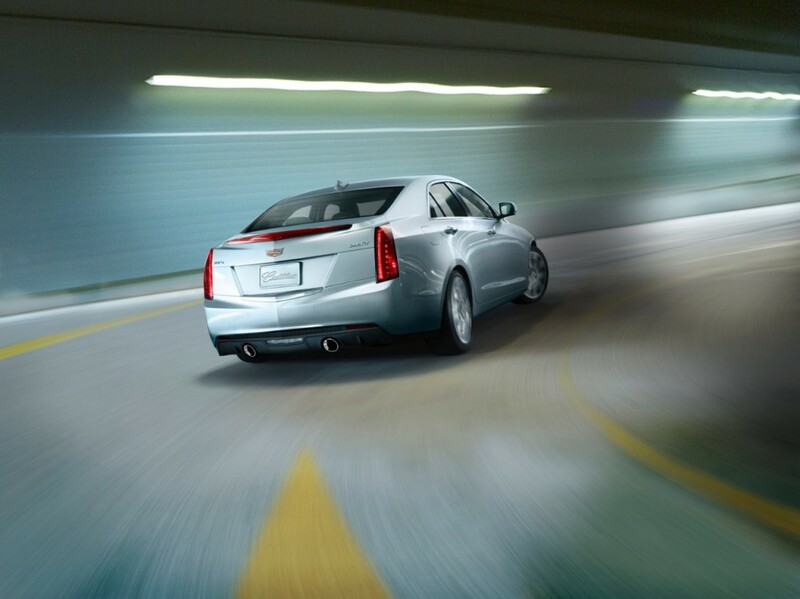 Nothing replaces the XTS. GM Authority is not correct on the write-up. CT4 & CT5 replaces the ATS and CTS more so. Also, what I noticed in the story of Reuters that I believe could be an error is that the XTS will get a refresh for ’18 and more than likely be discontinued for good around ’21 or ’22, not ’19. Why invest for a modest update and discontinue only after two years? Either JDN erroneously announced the XTS wrong or Reuters announced it wrong which sounds like they did. There might be a CT4, a baby Caddy, which to me seems like a bad idea. You don’t build a luxury brand by building cheap small economy cars. So i hope it will never be build. The CT5 will replace the ATS & CTS to target the 3 series. The CT6, the E Class / 5 series equivalent will remain. Lets hope it will get a less crappy interior and drive train! The CT8 has been dropped, so no S Class / 7 series competitor. The horrible XTS will finaly get canned. so Cadillac only has a E-Class, 5-serious competitor as a flagship….the the CT6. Hopefully Caddy will downsize the XTS while keeping its current interior/passenger space the same, and turn the ATS and CTS into something sized close to the 2nd gen. CTS. Why does the 3.6L get bad reviews, is it be cause of its 0-60 or torque curve? How does the 3.6 mate up with AWD, smooth as BMW xdrive? Where does it get bad reviews from? Most publications praised the engine. The only thing I can think of bad mouthing about the engine is from forum car enthusiasts members who does not like GM or don’t like the fact that Cadillac gets the engines first then few are shared within other makes within GM. Primarily because it’s unrefined and, despite producing all it’s power at high RPMs, it’s unresponsive and hates to rev. Any attempt to push the engine is met with a howling BRRRAPPPP in protest. It’s designed for Chevy family cars and trucks, not refined sports sedans. My Colorado has the same V6 and it’s great for low rev truck duty. If Cadillac wants to compete with BMW then they either need a new six cylinder engine or they need to spec the new V8 TT in place of the V6 (not likely). Meant to say, “it’s great for low-geared truck duty.” The LFX doesn’t like to rev in my Colorado, either, but I don’t carve up twisty back roads in that thing. It could happen but unlikely to see the XTS going away in 2019 as the refreshed model won’t hit the market till 2018 and it’s their best selling sedan. It be nice if they get the electrical problems fixed,as I have a 09 cts and it loves my credit card for electrical.electric parts should be free.why pay for stuff that keeps breaking down let the manufacturers eat it then they’ll learn to make good products instead of crap.get with the program gm. Start holding manufacturers accountable instead of making the customer poorer and poorer.keep it up and nobody will buy your product. Vince, my personal mechanic twice cautioned me not to buy another Cadillac. He was maintaining a traditional Cadillac for me. That car was remarkable. My visits were for maintenance and wear and tear only. I loved that car more than any of my other Cadillacs. They were all good ones until now. I think I’m in for a rude awakening. I may just dump this car near the end of the B2B warranty. For the sake of gaining more sales and better differentiating themselves in the market, I think this is a good strategy! Many of us agree that the “tweener” approach worked for Cadillac in the past, so it makes sense to capitalize on that now since their current strategy of directly competing against the Germans segment-for-segment isn’t working. I just hope Cadillac doesn’t abandon all the effort they’ve put into developing the stellar Alpha platform! The excellent handling and exhilarating dynamics is necessary to best justify the pricing in the segment, in addition to differentiating themselves from the rest of the mainstream sedans from Chevy and Buick. But with the Buick Verano gone, I can most certainly see a D2XX Cadillac sedan taking its place. This shouldn’t necessarily be a bad thing as long as Cadillac approaches it with more than just the idea of making sales! One of the new sedans will be a Cadillac version of the Chevy Cruze to be called CT3 and featuring unique Art and Science design elements. The other, larger car will be based on Chevy’s workhorse Malibu and be christened CT5. It will be distinguished by a unique grille texture and Cadillac-exclusive vertical headlamps. The current CT6 will soldier on as Cadillac’s sole RWD offering but get a new name; CT7. To coincide with the new name, a mild refresh will occur with Escala styling elements incorporated. CT7’s high production costs will be ameliorated by a new decontented companion model sold as a Chevrolet to local and state governments as the Chevrolet PPV. PPV will mix CT6’s lightweight structure with a 6.2 L Supercharged V8 to offer fleet buyers a police cruiser capable of matching today’s high performance cars. The three, CT2, CT5, and CT7 will comprise Cadillac’s sedan line-up. The switch to FWD and corporate platforms is a necessary change due to the contraction in sedan sales. The big news is on the CUV front where Cadillac expects to leverage the legendary Cadillac name with two big volume, high profit models to supplement XT5. On the lower end, the Chevrolet Trax-based Cadillac XT2 is expected to be the volume leader. XT2 will be imported from China and offered at a “sub $25,000.” price point. Also hailing from GM’s Chinese partner will be XT4, based loosely on the Equinox and supporting three-row seating. It’s expected to be another volume leader for the brand though less is known about it. Escalade will continue to be offered as Cadillac’s flagship model albeit with a new name; XT7. For fans of the iconic former name, XT7 will be available with an ultra-premium version to be called ‘Escalade’. Thus XT7 Escalade will replace the Escalade Platinum. It will feature unique colors and trim. Two surprise models will also be launched. The first will be PU5, a Colorado-based competitor to Mercedes’ new pickup. PU5 will sport a Cadillac-exclusive front fascia, unique wheel design, and a Zebrano wood dash appliqué. PU5 also gets exclusive paint colors to further differentiate it from its corporate cousin. Also joining the lineup in a surprise move is Cadillac’s second attempt at a Tesla fighter. The first-ever ET2 will be a Cadillac version of Chevy’s award winning Bolt EV. ET2 will come with two unique Cadillac-only colors (Brushed Silver and Asphalt Grey) and sport Cadillac’s signature lighting elements and a hand-stitched leather dash as well as premium leather seating surfaces. Much excitement awaits as JdN’s vision for the brand begins to be fully realized and the highly anticipated bevy of new models are launched and the ‘Dare Greatly’ ad campaign is finally substantiated. “InTheKnow”, that’s some really good parody, I hope. Sadly I could almost see them doing this under someone (perhaps Melody Lee), but not under JDN. BTW, I especially liked the part about introducing “two unique Cadillac colors”, Brushed Silver and Asphalt Grey. Could they get more boring, common colors and try to make them sound “unique”? Good job. Quite honestly, it’s hard to tell if you’re being facetious or not! The way things seem to be panning out for Caddy right now, I see no other way for them to regain sales momentum! They might as well use the best tech Chevy has in its stable; leverage out development/production costs, give ’em their own unique styling, sell the products for cheap, and live with the reality that they’ll always be a second-tier luxury brand! In fact, people need to stop trying to put Cadillac in the same league as the Germans! For the past 50 plus years, Caddies have been nothing more than re-skinned Chevys! This is what the demographic sees them as! They had a customer base that didn’t mind! They like cheap luxury! Why abandon these buyers just to try to be like Benz, BMW and Audi?! Hyundai is building the cars Caddy and Buick should be building! They have all the latest tech, and sell at reasonable price-points! Since folks don’t care about Caddy being top-tier, and won’t be paying any German brand luxury prices for their products, just let ’em re-enter the market with cheaper, but better built products that people can afford! Heck, Chevys are now being regarded as being just as good as their Japanese and Korean rivals! Makes sense to use the best they have to offer and just build some nice Cadillacs for less money! Just look at the Escalade! I promise the buyers of the Escalade either don’t know it’s built on the Silverado/Tahoe chassis or they simply don’t care! The Escalade sells because it looks good, is a SUV in SUV-dominated market and looks like a Cadillac! Other than that, it’s a gussied up Tahoe/Yukon! Folks don’t care about platforms, FWD or RWD, etc! People just want a nice, smooth, spacious ride to cruise around town and hit the highway in! If Cadillac was smart, they would’ve been ahead of the game by trying to capture today’s luxury market dominated by the shareholders at Tesla! Yeah I hear all the flak people on this site give to Tesla, but at the end of the day, they have the true luxury buyers investing in them and their products! Caddy shoulda had some electric cars and SUVs on the road years ago! Why are we waiting till 2025 before the first all-electric Cadillac to hit the market?! Zeta, true that Cadillacs of the past used numerous GM parts (and frankly that’s better for the consumer, German parts are outrageously expensive even for a VW). But Cadillacs were their own unique design, at least until the 1982 Cimarron (a slightly improved and rebadged Chevy Cavalier, which was the cheapest and smallest Chevy at that time). It does seem though that the market has certain expectations of Cadillac, and giving Cadillac unique engines and other unique parts does not seem to matter to the public. If Cadillac can build great cars, it shouldn’t matter if there are some shared parts. And I happen to prefer FWD to RWD, FWD was a unique Cadillac feature in 1967 (Eldorado) and people loved the way it performed in snow. But JDN is determined to keep trying to remake Cadillac along the German model, so you know that the post by “InTheKnow” above was parody. Cadillac has been there, done that – they are seen as only a weak imitation of a German brand now, instead of as a leading American brand. Maybe if an American with deep American roots took over, he/she could bring back Cadillac to former glory. But we saw that JDN’s “magic” only works at an actual German brand. He failed when he tried to make Infiniti the “BMW of Japan”. The Japanese at Infiniti were wise to head in a different direction when JDN was gone. JDN seems to think his formula fits all brands and all markets, and it doesn’t. But GM will have to learn that the hard way, again. Naturally, there is no word on either a coupe or a sportwagon. Apparently, they cannot compete and have ceded that premium market to the Europeans. Cadillac President Johan de Nysschen has said of being open to the possibility of building an electric vehicle; if Cadillac does decide to build an EV, it has to consider using Tesla as being the standard because if Cadillac’s EV doesn’t measure up then buyers will say what’s the point.